Root Canal treatment is an integral part of everyday dentistry and Endodontics is a vital and most useful treatment option to save Infected teeth, this can and is being used in senior citizens as well and these section of patients are more commonly known to have Cardiovascular Implantable electronic devices or more commonly known as “Pacemakers“. We have seen earlier that Ultrasonic Instruments are contraindicated in the patient with pacemakers as they might interfere with the electromagnetic fields of the device and affect their function. With recent study, it is seen that Endodontic equipment interferes with the electromagnetic fields of Pacemakers or Cardiovascular Implantable electronic devices which affect their efficiency and might be a serious health hazard. What are the Endodontic Equipment which interferes with Pacemakers or CIED? Other instruments like Laser Devices, Optical Microscope, Endodontic Rotary Motor, Guttapercha Gun etc were also tested and no effect was seen on the CIED. Which CIED were tested with Endodontic equipment? Medtronic Pace Maker – EAL, when used at a distance of 2 cm, caused Electromagnetic Interference. Note: There is said to be no permanent damage to the CIED but temporary interference to its function. It is also mentioned that Electromagnetic Interference is caused when Endodontic devices were placed horizontally in relation to the CIED. It is also important to note that the Interferences were seen when the pacemakers were set to maximum sensitivity and not much of an interference was seen when in other sensitivities. The Electromagnetic fields of the Dental chair were also considered while testing this equipment. 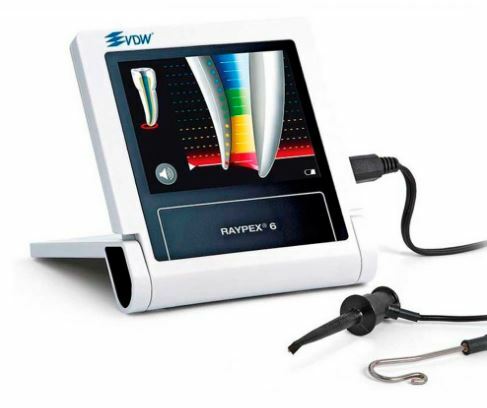 Conclusion – Is use of Endodontic Equipment like – Apex Locators safe for patients with Pacemakers? Yes, it is safe to use as there is no permanent damage to the CIED devices, but it is important to weigh the need of the equipment being used and the endodontic instruments like EAL and GHC be turned on only when required and be OFF when not in use.